Drinks with friends. 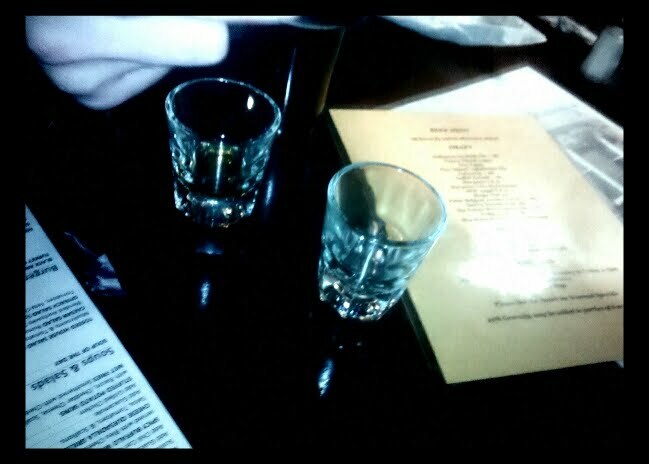 I don't know why, but I insisted on a beer and Jameson. Which the other two decided to have as well. Don't like it on its own - I like it better when mixed with Bailey's and dropped into a pint of Guinness. I forget where this was at, but it was in Brooklyn. Park Slope, pre-snowpocalypse. They sold fried pickles, that were kinda salty. I don't know why my friend insisted on them... since they should only be offered at a bbq joint. This was not that kind of place at all. And he should have known better, being that he is from TN and they do make delicious bbq.